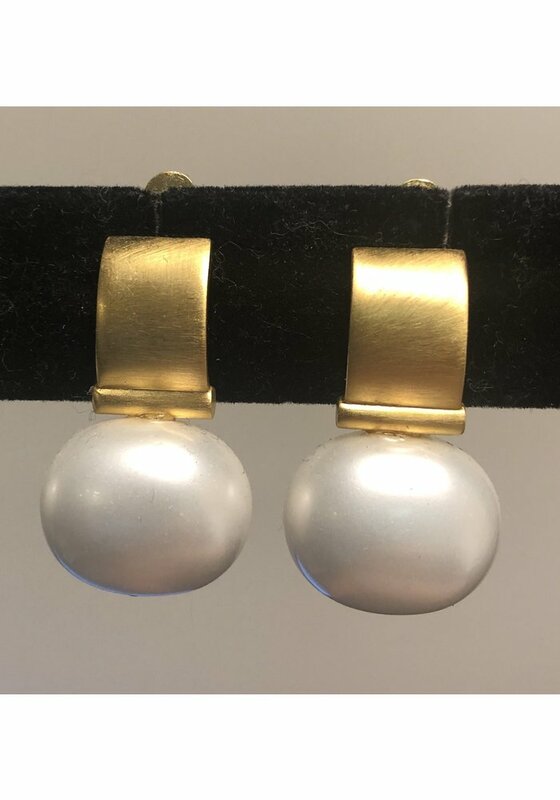 Smooth, lobe covering polished 18k over Brass Clip Earring with our large pebble. 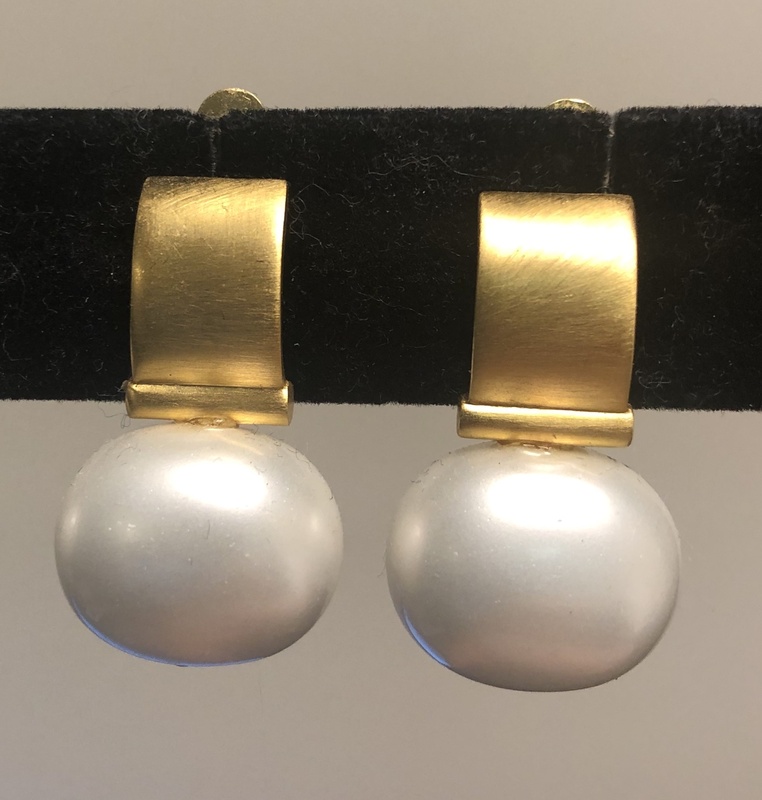 These signature pebble pearls are a hand crafted composite: mother of pearl shell is crushed, formed into the pebble shape, then lacquered and polished 18 times (we counted) to draw out the shell’s luster and hue. We wanted to deliver the look of pearl without the quick degradation.